The Half-Life 3 trademark filing in Europe that came to light this week may not have been quite as solid as it appeared. 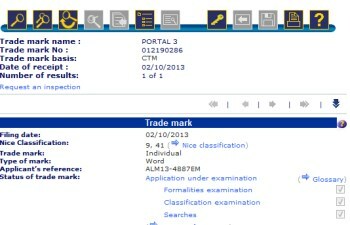 A trademark filing for Half-Life 3 turned up in the Trade Marks and Designs Registration Office of the European Union at the tail end of September and while it's hard not to see such things with a jaundiced eye, the OHIM site it appeared on is legit - and the timing, given Valve's recent flurry of Steam Machines activity, appeared to make sense too. Nothing sells boxes like a killer app, after all, and there ain't no killer app like a Half-Life 3 killer app. But the filing has now disappeared from the site, and the whole thing is starting to look like it might have been a hoax. EGM poked around at the process and determined that "theoretically," it's no great feat to submit a trademark application using the name of any company already in the OHIM database. On the other hand, the "basic filing fee" is 900.00€ - more than $1200 - so it's not the kind of stunt that your run-of-the-mill internet joker is likely to pull. In another interesting twist, a new trademark filing appeared on the OHIM site on October 2, this one for Portal 3. Maybe, perhaps even probably, it's a hoax too, but the filing is currently going through the examination process and, if I'm reading it correctly, has already passed on three points.